The Stradivari, or Stradivarius, and Guarneri violins are two of the most well-known violins created. The instruments are named after their makers, Antonio Stradivari and the Guarneri family, who were both trained in the violin workshop of Nicolo Amati. This workshop was located in Cremona, Italy, where the Stradivarius violin shop was also located. The Guarneri family made violins not only in Cremona, but in Venice and Mantua as well. One difference between the Guarneri and Stradivarius violins is their playability. The Stradivarius is considered easier to play, taking less effort for a violinist to create a nice tone compared to a Guarneri, which can take years to achieve the same effect. 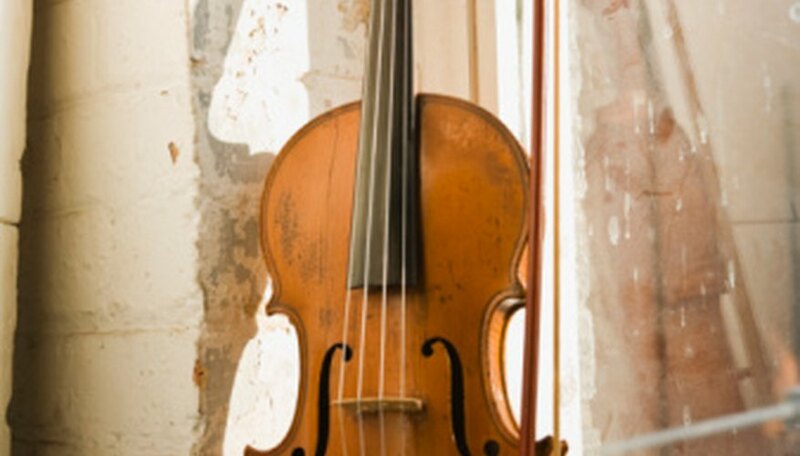 A second difference between these two types of violins is their tone. French violinist Renaud Capuçon has stated that the Guarneri has a deeper sound compared to the Stradivarius. This difference in tone has also been scientifically documented as well, although it has not been conclusively determined why the two instruments sound different. Another distinction between the Stradivarius and Guarneri violins is their makers. Antonio Stradiveri was the maker of his famous instruments while a family of luthiers made the famous Guarneri violins. The Nicolo Amati workshop was where both makers initially worked. In the Guarneri workshop there was not only Andrea, but also Pietro Giovanni, Pietro Guarneri (or Peter of Venice) and his brother Giuseppe (also called "del Gesu" since he used a cross and the initials I.H.S., which is a monogram for the name Jesus Christ) who worked on the violins. Giuseppe del Gesu became the most accomplished of the Guarneris. Made centuries ago by different people, these two types of violins fetch different prices and less than a thousand are still in existence. The Stradivarius violins tend to be higher in price. The highest price paid for one as of 2011, according to Strad Invest, was $20,000,000, while a Guarneri was sold for $7,000,000. Currently, there are known to be 650 Stradivarius instruments while only 135 Guarneri violins and one cello are in existence. Ultimate Violin Tools: Guarneri - Second to Stradivari?